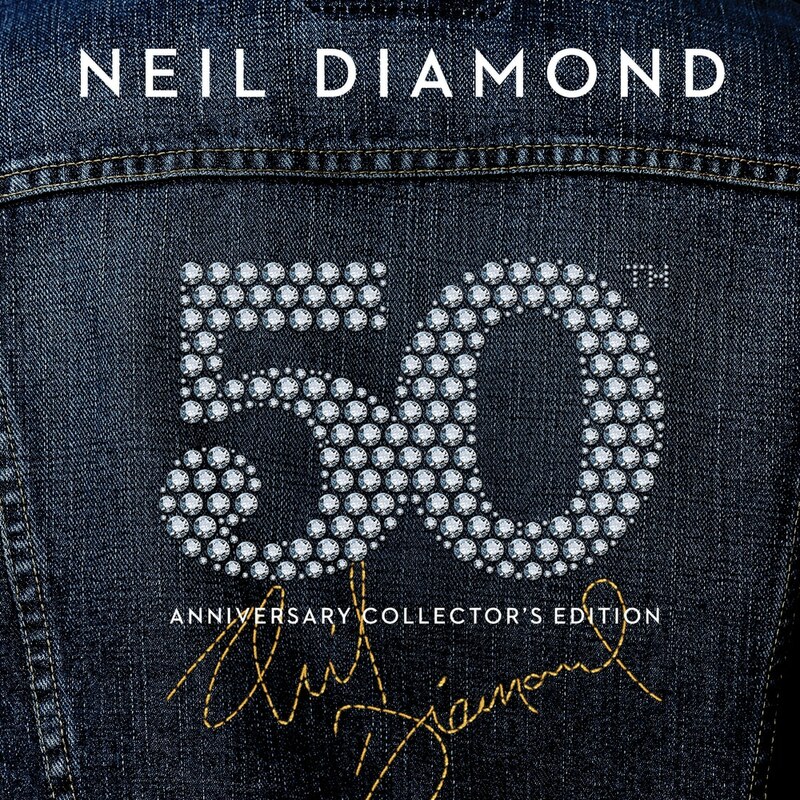 A unique half-century of music-making by one of the most outstanding singer-songwriters will be marked by Capitol/UMG’s release of Neil Diamond’s 6-CD 50th Anniversary Collector’s Edition. It covers Diamond’s entire storied career and features 115 tracks, with his most celebrated hits sitting alongside demos, rarities and a total of 15 previously unreleased tracks. As well as dozens of signature Diamond recordings such as ‘Sweet Caroline,’ ‘Forever In Blue Jeans,’ and his duet wiith Barbra Streisand, ‘You Don’t Bring Me Flowers.’ the set has a full disc of 12 unreleased songs. These include the recently-unearthed ‘Sunflower,’ which was written and recently updated by Diamond and originally recorded by Glen Campbell. The unrivalled career of the Grammy-winning Rock and Roll Hall of Fame inductee has seen him sell more than 130 million albums worldwide. His scorecard includes 38 US top 40 singles, 16 top ten albums, 40 gold-certified albums, 21 platinum and 11 multi-platinum. He is also a member of the Songwriters Hall Of Fame and recently received three more of the greatest honours that a composer can receive, the Johnny Mercer Award, the Grammy Lifetime Achievement Award and the Sammy Cahn Lifetime Achievement Award.